Listen to today's show online. 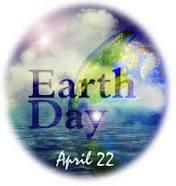 Tuesday April 22 is Earth Day. This year marks the 45th observance of the annual celebration of our planet and its environment. On this week’s Eastern Standard, we’ll discuss community gardening and other efforts to bring about a sustainable Kentucky.